Set up a camera in your office to record business conversations with people who say ​"I never promised that". Cameras general coverage, or catch license plates, faces. Watch your property and loved ones. Record movement to save time and space. Watch live or recorded video from your smartphone. 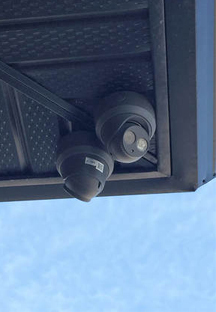 We use the latest wireless technology to install cameras in those hard-to-reach locations. Connect cameras wirelessly from out buildings, lamp posts, gates or fences, etc. back to the network video recorder in your home or office. If there's a challenging spot to reach, we can do it! 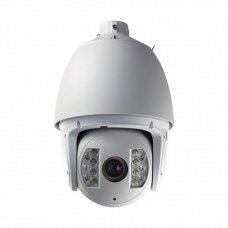 We can now monitor your video recorder! Our system will check your video recorder every thirty seconds and alert you to a problem. These can include internet/power outages, remote access problems, camera problems, or hard drive failures. All you need is an internet connection. With this service, you'll never have to worry that your camera system is running, recording, and ready to view 24/7/365. The best part is, we alert YOU directly. You won't be caught off guard if your system runs into trouble. Dynamic DNS Services for your camera system automatically ensure that your video recorder is always accessible remotely. IP addresses constantly change and without this service, you may not be able to connect to your devices when you need to the most. We offer a fully-featured, unique domain name for your device for $3 per month/$33 per year OR $5 per month/$55 per year if bundled with our network monitoring service. Never worry about remote access issues again!